A precisely sized pilot bushing is essential to proper manual transmission installation. We generally recommend a bronze bushing for Jeep applications (when available) as they seem to better endure the harsh environment of a clutch housing. However, with proper installation a needle roller bearing is acceptable, so long as the transmission input shaft hardness is up to the hardness of the needle bearing. Novak pilot bushings are made from quality Oilite bronze alloy, or in the case of a bearing, a quality needle roller assembly. Often, in adapted applications, a custom outer diameter, inner diameter or even a pressed ­in sleeve are used to meet the needs of that particular application. Fits stock Ford Truck T18, T19 & NP435. The Ford Truck transmissions use a ~17mm pilot tip diameter. It is always a good idea to verify what you have to be sure. 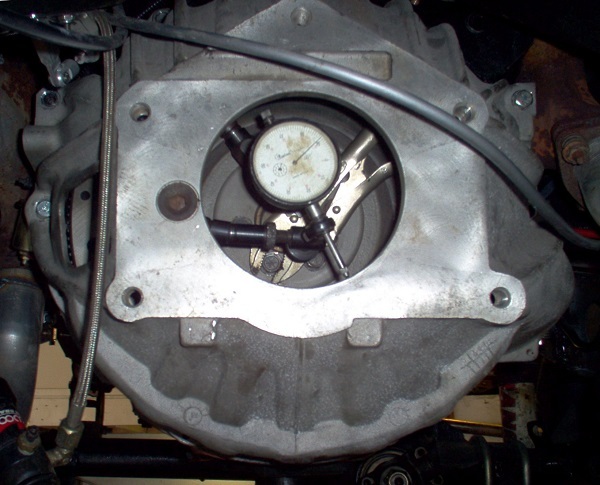 Ford small block with standard crank diameter. Additional bushings if you are unsure of your installation abilities or diameter of the crank or pilot tip. Removal of the old bushing and cleaning the crank bore is required prior to installation. There are a number of official and unofficial methods out there to remove the old bushing/bearing. Hydraulic removal using inserted grease behind the bushing (or wet paper towel, etc. and a precisely sized rod is a classic. Our preferred method is a slide puller available from your local parts store as a rental tool if you don’t own one. A proper drift tool or driver is recommended for installation. Do not coat oiled bronze in grease, as this plugs its pores and will not lubricate properly afterwards. Installation as the bushing comes is acceptable, though soaking it for a day or longer in clean engine oil prior to installation is preferred. Freezing the bushing and lightly warming the crank can ease the installation. Pilot bushing and transmission input and main shaft damage are inevitable if the bellhousing and transmission are not centered concentric and parallel to the engine face. We recommend the use of a dial indicator to verify that your bellhousing and engine are centered on the bellhousing bore. See The Novak Guide to Clutches, Linkages and Bellhousings for directions on this method.